G2 and Splyce both had great splits, but whose was better? It took until the end of the split to see which of the two new-look rosters would come out on top. This article is brought to you by LoLwiz — The No. 1 in-game stats app. 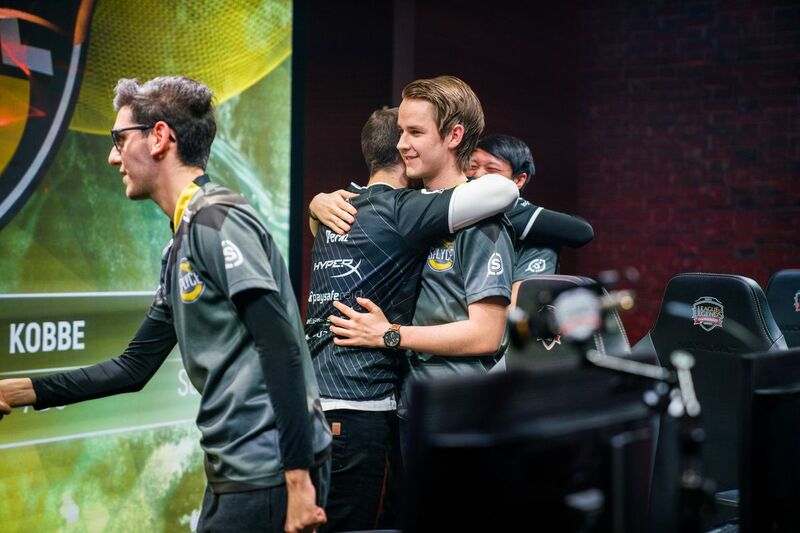 It came down to a tiebreaker between G2 and Splyce on the last day of the regular season to decide who would get a bye into the semifinals of the EU LCS Spring Split playoffs. G2’s win showed the advantage they gained over Splyce during a split full of development for the team. Much was expected of these two rosters heading into the Spring Split. G2 started off well, though not great, and Splyce struggled to find consistency through much of the split. Some struggles were to be expected from both rosters due to the numerous player changes on both teams. Only Luka “Perkz” Perković on G2 and Kasper “Kobbe” Kobberup on Splyce returned to their respective team from last year. Perkz became the captain for his team and a great leader throughout the split. Surrounded by top talent he kept a tight hold on the ship to keep them contending for a top spot. There were some bumps in the road in losses to bottom teams here and there but the squads’ seven game win-streak showed the best qualities of the team and their ability to beat nearly every roster. The only team G2 failed to grab a win over was Fnatic. Splyce took much longer to show the true quality of their squad. The roster had a tougher time sorting out which lanes to play around and what playstyle they would have. This resulted in the roster playing widely inconsistent in their first five or six weeks. It wasn’t until the seventh week that Splyce won both of their games in one week. In previous week, they had won one match but lost the other. Splyce started to find their form as Andrei “Odoamne” Pascu started to play well. In the initial weeks Odoamne looked like a shadow of his former self and was putting up terrible stats for his team. Once his performance improved, the team’s did as well. The roster went from being a mid-table team to fighting for a first round bye. In the three times Splyce played G2, the former team took two victories to Splyce’s one. G2 won in weeks two and nince while Splyce took the victory in week seven. Splyce was close to making a comeback in the first game after G2 took a lead, but G2 came right back to take the victory. In the second game, Splyce smashed through G2 in a near perfect match save for G2 taking one turret and getting one kill. Splyce had the initial lead in the tiebreaker but G2 took the victory after a dominate mid game. Though it came close towards the end, G2 did end up having the better split record-wise. Both teams took time to get their rosters playing cohesively, but G2 got it together before Splyce did. G2 were able to find their win conditions as a team and learned lanes to play around. Marcin “Jankos” Jankowski especially got in-tune with his teammates so that his ganks were efficient and he got the right players ahead. This is one of the key factors as to why G2 finished the split above Splyce. Though it was G2 who got the better of Splyce this time around, the future looks bright for these two squads. Despite Fnatic taking the top seed into the playoffs, a victory is not guaranteed as both Splyce and G2 are getting up to top speed.